Learn more about our Spring and Fall Family Programs This weekend is a collaborative program between Double H and the Bravehearts organization. This weekend is designed as an oncology weekend for women who have survived or are in treatment for various cancers. The spring program focuses on adventure-based programming and teambuilding. For more information about how to participate in our Spring and Fall Family Programs, please contact the Admissions Office at 518-696-5676. Double H Ranch, 97 Hidden Valley Rd. Learn more about our Spring and Fall Family Programs For more information about how to participate in our Spring and Fall Family Programs, please contact the Admissions Office at 518-696-5676. The Sagamore Resort, 110 Sagamore Rd. The Great Escape and Splashwater Kingdom, 89 Six Flags Dr. 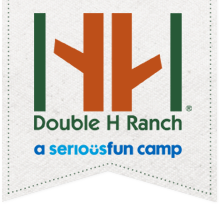 I have attended Double H for 6 years, but this past summer was the best year ever. I got so close with by cabin mates, other cabins, and the counselors. We still keep in contact now. Double H has helped me grow as a person and helped me accept myself more. Everyone is beyond compassionate and loving you never want to leave. They inspire you to spread the magic of camp to everyone you meet. Even though it was my last year I am eager to come back as a CIT and eventually a counselor to provide the laughs and friendships that my counselors provided me with. I truly love this place, it will always be my home away from home. the people I meet and build friendships with will always be my second family. 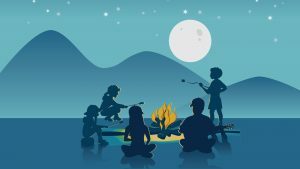 I wish more people could experience a camp so accepting and kind.